I’ve been busy the last few days making some very wonderful Christmas hangers. Lynne from Adorn inspired me with hers, and I’ve been on a roll ever since. I think they make really nice little gifts…something to be cherished for years to come..unless you sit on it …so keep them hanging. 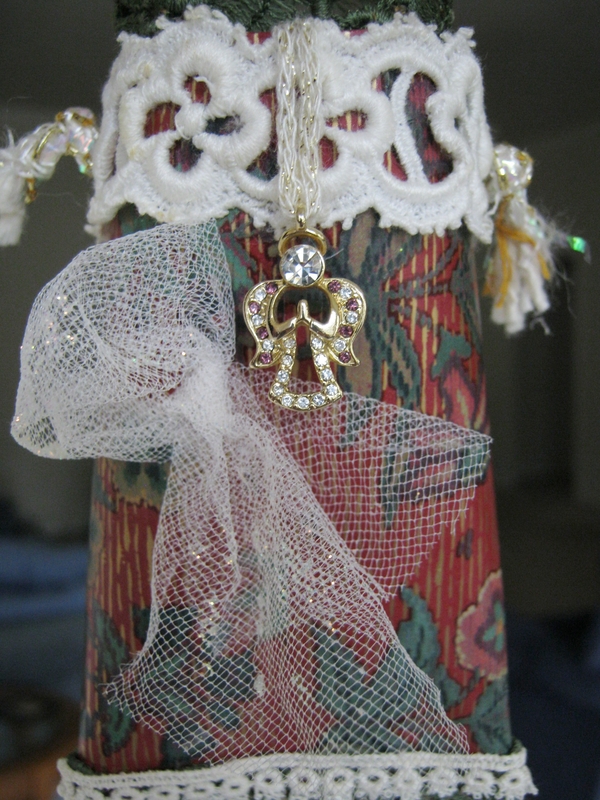 The angel hanger was made using a lovely angel pendent. I added a bit of netting which I sprinkled with some glitter. The glitter doesn’t show up very well in the photo, but it sparkles nicely in light, which adds a nice touch. 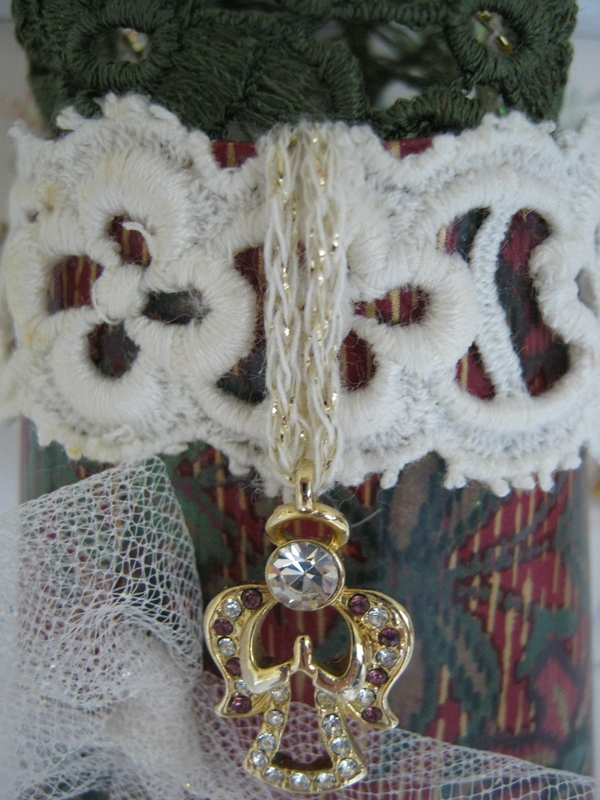 For the hanger I used a lovely cord with gold thread entwined within it. The gold echoes the gold of the pendent. 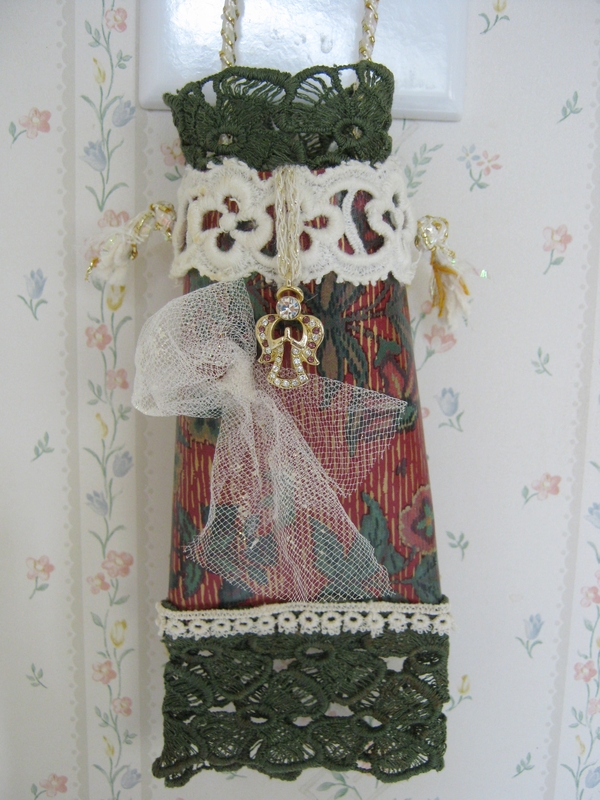 I used the same paper and green lace as the last hanger, but with a different ‘twist’. As I continued making these my imagination really started to soar. So stay tuned for my next two Christmas hangers, because I think you’re really going to like them. And for those of you who are new to Leisure Lane, you can still order my novella, “The Christmas Pin Society”…it’s a great story to read even after Christmas when the hustle and bustle has calmed a bit. It will keep the holiday mood alive. You can order your favorite version from the sidebar. And if you’d like to read a synopsis and some reviews, click on my Novella page to find out more. I look forward to seeing you again soon. 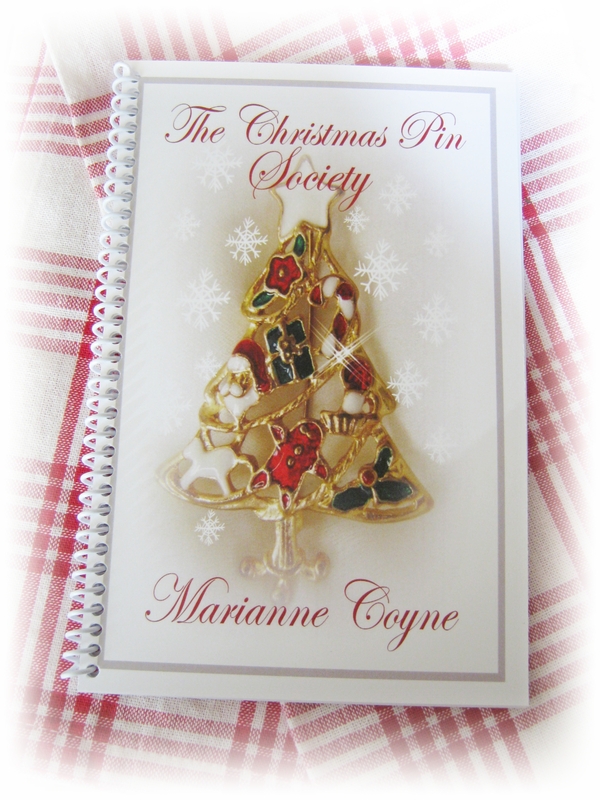 Update…The Christmas Pin Society is at the moment offered on Amazon Kindle only.